Layla Sleep is an American-made company which specializes in innovative mattresses, pillows, toppers, foundations, and bed frames. Layla Sleep is best known for the Layla Mattress, which has both a soft and a firm side, and the Layla pillow. The Layla boasts a range of all-natural features and potential health benefits so I was eager to test it. The pillow is not specifically for snoring. After browsing their offerings, I decided to order the king size Layla pillow. When it arrived, I noticed it is bigger than other king-sized pillows, and that it had a luxurious outer shell, which is quite rare. My wife mentioned how good it looks with its on-trend yet simple design. The outer cover is a grey and white weave which blends in well with all furnishings. With the Layla I felt like I was sleeping on a springy down feather pillow. It was almost as soft, but it provided more bulk – meaning it gave me more support in the neck area. It is ideal for side-sleepers, which means you will snore less as a result – which is a big win for anyone looking for snore reduction. The first two nights I tossed and turned more than usual while adapting to the pillow. I had to shift positions because the pillow is thicker than what I’m used to. Perhaps Layla Sleep realizes this, which is why they provide a 120-night trial. However, I adapted to sleeping with it. The Layla stays cool and is comfortable, as promised. It is also useful to double up the Layla. This enables it to be a backrest so I can sit up in bed, which is comfortable because the pillow is flexible. Memory-foam pillows are too bulky for this. My wife commented this pillow would be ideal for nursing a baby. It is long, skinny, and just the perfect denseness. Just imagine, your baby would be laying on a copper infused, hypoallergenic, memory foam, cruelty-free, CertiPUR-US® certified, made in the USA pillow. What a lucky baby! 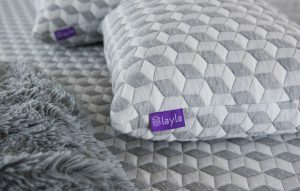 The Layla Pillow has a similar sense of comfort as some of the Tempurpedic pillows and the SleepNumber ComfortFit, which is in a similar price range at $89-$99. In that sense, it is a top of the line pillow and is of the quality you would expect from the high end of the range. Just as you can choose a Layla Mattress to suit your requirements, you can also choose one of two pillow sizes to suit your needs: a queen sized pillow (18″ x 24″ x 4″) and a king sized pillow (18″ x 32″ x 4). This is great news for those who feel like they need a pillow size larger than standard. Customers rarely return the pillow. There are no zero star reviews for the Layla Pillow, a rarity in a time where there is always at least one unsatisfied customer. Instead, the pillow consistently receives rave reviews in the 4 to 5-star range with reviewers reporting they are experiencing the best sleep of their lives. The Layla Pillow uses memory foam fill and kapok fiber, which gently adapts to the contours of your neck, head, and upper shoulders. Kapok fiber was chosen because of its temperature regulating properties which ensure a cooler sleep. Kapok is a chemical and pesticide-free natural fiber which comes from the hair-like seed pods of Kapok trees (Ceiba pentandra), which is native to Central America, Mexico, and the Caribbean as well as various locations in Africa. It is popular in the pillow industry because it can be sustainably harvested. The Layla Pillow is ideal for those with allergies. Kapok is noted for its hypoallergenic qualities, meaning it is unlikely to cause an allergic reaction in sensitive people. Also, the cover is infused with copper, which is known for reducing your sleep temperature, making it great for those with heat issues at night. 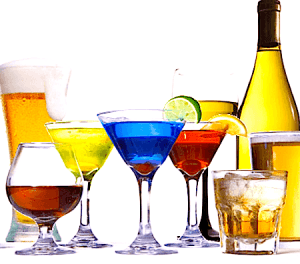 Copper also has anti-bacterial and anti-viral properties. The weave of copper that surrounds the Layla Pillow helps you sleep healthier. Positive ions in the copper fabric are claimed to have a positive impact on health, with customers reporting they feel better after sleeping on the material. In fact, several athletes swear by copper and credit their performance to it. In contrast to other manufacturers, the Layla Pillow’s memory foam is CertiPUR-US® certified, which means it is made without ozone depleters, flame retardants, heavy metals such as mercury or lead, formaldehyde, phthalates, and have low emissions for indoor air quality. Most importantly, the Layla Pillow is cruelty-free. Many leading providers still use goose down, which uses the feathers from ducks. The practice of live-plucking, common amongst premium pillow manufacturers, still exists today. You’ll sleep easier on the Layla Pillow in the knowledge your pillow was created using cruelty-free methods. With an extensive list of benefits and an intelligently considered design, the Layla Pillow is worth trialing for 120 nights to see whether you would get the better night’s sleep they promise to deliver.